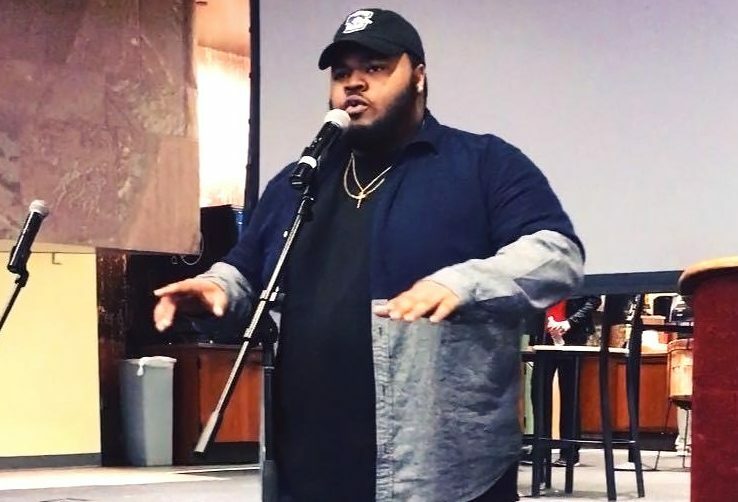 Marcus Destin, a transfer sophomore communications studies major, uses rapping as a way to occupy his time and inspire others. He hopes that his music will tell a meaningful story and leave an impact on those who listen to it. Destin said it was “weird” for him to be a SoundCloud rapper because he thought people wouldn’t take it seriously so he first started recording his music as a joke. Destin said he’s been singing since a very young age and got involved in his middle school and high school choirs. All the lyrics in Destin’s songs are written by him, but he does use prerecorded beats. Destin writes all his songs by himself, but he often sends his finished songs to his friends for feedback. “When it comes to mixing or making sure it sounds good I send it to my friends. They will help me fix it because they think I’m really good and they want me to sound well,” Destin said. Gerrel Patton, a student at North Carolina Wesleyan college, met Destin when they played football together at NCWC. Patton said they’ve been friends for about five years, and Patton is one of the people who encouraged Destin to start rapping. “He would always sing songs and freestyle, and I asked him if he had ever rapped before and he said no, but I write poetry and I told him he should start rapping,” Patton said. Destin sends his finished songs to Patton to give him feedback. Patton said he enjoys Destin’s music because it is unique. Patton said he wishes Destin would make his music a career, but it’s a large time commitment. So far, Destin has written and released 50 songs on his SoundCloud account. He said many things inspire him to write music. “When I first got here, it was heartbreak because I had just gone through a breakup. But now, other artists really fuel me. I use them as inspiration,” Destin said. Monae Williams, a senior elementary education major, has been dating Destin for more than a year. Williams said she thinks Destin is a talented rapper. Destin often tells Williams that she is the muse for some of his music. “I don’t necessarily know how I inspire him, we’ve never discussed it but he will come to me to talk about his music and ask me what I think,” she said. When he can’t find something to write about, Destin said he finds it useful to get involved on other things on campus, such as the Center for Diversity & Community. Destin has performed his raps live a few times at open mic nights. “I want to perform live more to get practice, because it’s definitely not the same as recording. I like looking at the people and seeing live reactions to my music,” he said. Destin said right now, music is more of a hobby to him, but he does hope to get more of his music out on iTunes and Spotify.